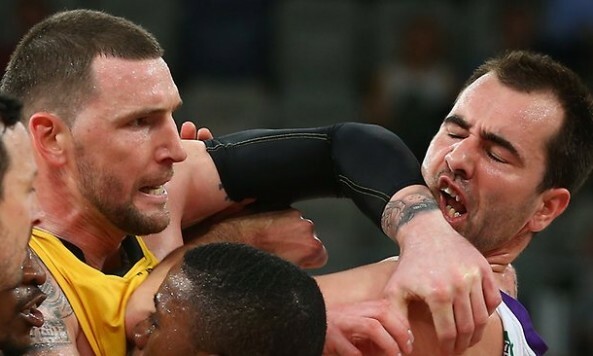 Melbourne Tigers star forward Seth Scott will face the NBL tribunal, following a heated Sunday afternoon clash with the Sydney Kings at Hisense Arena. Scott was ejected from the Kings' eventual 72-67 victory during the third quarter, cited for striking the head of league-leading scorer Ben Madgen. Scott's ejection came during a sequence of heated interaction between the two teams, where the Kings seemingly got under the skin of the Tigers, winning the mental battle — and ultimately the game. The match referees filed a charge of ‘Striking – other’ against Scott arising out of an alleged incident in the third period of the game involving Sydney’s Ben Madgen. The report alleges that Scott struck Madgen to the head with his open right hand. Under NBL Rules, all reports by match officials are automatically referred to the NBL Tribunal. Scott has until 12:00PM Midday AEDT tomorrow, Tuesday 20 November, to respond to the charge and determine if he wishes it to be heard by telephone interviews or in a formal sitting of the NBL Tribunal.